Regretfully we have to inform you that due to an unexpected problem, we have to cancel this tournament. Once we solve the problem, we will launch a new tournament where you can sign up again. Until then you can keep an eye on new events that will run this weekend and in May! We apologize for any inconvenience that this may have caused and good luck in S4 League! You know it is time to close down the game when a small hacker in this small community manages to outsmart the entire team of "developers"
What is your obsession with the game closing? What are you going to win from it? Don't play it if you don't like it anymore. Same thing for the hackers as well. Yeah. I don't understand pple that comes here just to see the world burn. I am not obsessing over this game closing down, I am just dissatisfied with the current people that manage it and brought it to the state it is in today, and u know they are going to milk it for all its worth till it closes down. Be real, this game is not going to get any better and the community is not going to enlarge "miraculously", at this point it is just a money grab, hence the reason why we don't see any more content being implemented in the game, I give it a year at max. Of course it's a money grab, its not a freaking charity. This is a business. And no money = no game. It is not like they force our players to buy AP. The funny thing is, they rather pay for hacks and killing the game even fatser. S4 is a dope game. Hopefully people can try to find a better way to spend their time than trying to ruin our fun here with hacking. I have no idea how anyone can defend the current business model of S4 league. You pay to have a chance to get an item, and you don't even know what probability you have of getting it. If Aeria (or whoever is in charge) decided to change the probabilities so that you'd have almost no chance to get what you want, there is no way you would know until enough people get scr***d over, because they don't even share them publicly. It is legitimate for people who have spent a lot of money into the game to feel like something is wrong when some hacker can bully the staff into closing a tournament, because that's not the quality of service they paid for, and I can see how they would wonder where their money went. the probability for ingame capsules is 1%. This isn't a secret and we won't change sokething that important without letting you know. Of course I'm not sying that this is the best purchase model. About the tournament cancel, we know that S4League has always been a bug mess with multiple exploit holes. You gotta also admit that we're slowly closing these holes to improve the game experience. If I can say it so, the game is slowly returning in my opinion. And no, I'm not defending but seeing it objectively. No one is defending the current model lol but buying stuff from hackers is even worse for everyone: 1. you are wasting your money for illegal stuff, 2. you are supporting the hackers to keep doing that, 3. you are killing the game by doing it so. Yeah, what happened here is saaaaaaad to say the least, but that doesn't annul/cancel all the work they did/they're doing to make things better, and as said in the main post, they'll launch the tournament again, eventually c: when everything will be ok again. But really..... what's the pleasure or satisfaction in hacking a small game/small community? x'D like, that's way sadder than what happened here. So ofc little hackers (and so, not so great people c: to not say other words) feel sooo satisfied and accomplished in doing something so small as that. Oh, my bad, it wasn't written anywhere in game or on the S4 website so I thought there were no official value. Also I am kind of surprised that it is a fixed value, some companies like to change the rate depending on factors like, how many random things have been opened etc... (one of the most famous examples being Hearthstone's pity timer). However I wasn't only referring to G's / I's capsules, but also skill capsules / enchants / chips, for which there doesn't seem to be any data at first glance, but then again I might not be looking hard enough. Aside from that, events have traditionally had very little transparency when randomness was involved. You gotta also admit that we're slowly closing these holes to improve the game experience. Most of the technical issues that are ruining my personal game experience are actually pretty recent. I'm not going to make a list or anything, but from where I stand Aeria's legacy to the game is not full of good things (I say Aeria but in truth, I have no idea who is responsible for what between Aeria and the devs). 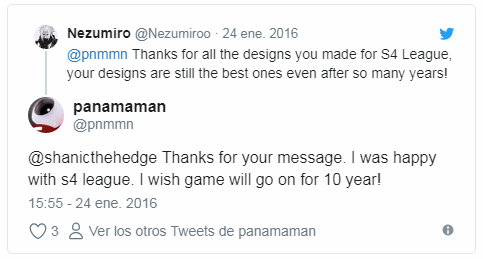 If you say you guys are working on it, I have no reason not to trust you, but it's not that obvious to the untrained eye (I'm only talking about technical issues, aside from that I think you are clearly doing a better job at communicating and making events that are worth participating in than before, all of which make the game feel more alive). I'm not sure if you're trolling or whatever but I'm going to assume you're saying this seriously. Many players rationalize buying AP (sometimes in large quantity) as supporting the game. When you throw money into a game to support it, you expect that money to be spent on keeping the game running in good condition. But even for those who only care about getting the items that they want, the worth of those items is dependent on the state of the game. If there are no servers, your items aren't worth anything ('cause you can't play). Similarly, if the servers run poorly, hackers ruin your games, your game freezes for no reason etc. you are more likely to get sick of the game and play less / quit and once again, your items aren't worth anything if you're not playing the game. Peopel are acually slowly coming back to the "dead forum" as well. well...theres been like no patches in months i guess its a natural thing that players would be curious abt wats going on? Look, to talk about the people in this forum you wash your mouth, you rude, you have no right to talk to us like that. The game is improving, the number of hackers has decreased a lot. The state of S4 league is much better than it was a year ago, I can assure you because I have been connecting to S4 every day since 2010, I assure you it is improving, slowly but remarkably. And in the forum we are the ones interested in having a community to hang out in, not everything is S4 League in game 24/7. 😐 can't be that bad. Change is natural in this world. It was inevitable that this game would change at some point. This is a F2P online game. The game is only "dying" bc people won't cooperate in-game. Life is a probability. Just bc you get the job doesn't mean you'll get the exact things you want. You get what you can afford. We all try our best to get the things we want in life. Why should a game be any different? I rather have 10 legit players than 100 hackers and trolls. So if you're one of the latter, just be so kind and leave. Thanks. But it would be a pity if everyone goes to school or work at different times, then you are all alone with 10 players! i rather have one good gm than x cra.p gm's! But we have only one lel. Ok, this made my day.